Be a part of a small business loan that will change a family and change Uganda! As a second step to developing healthy communities alongside our brothers and sisters in Uganda, we’ve begun investing in the relationships we’ve built on a new level. By making investments in these relationships in the form of small business loans and grants we’ve been able to see families better able to provide for themselves and better able to service the communities that they live in. Ranging from food vendors to hair salons, from delivery services to livestock farming, from dress rentals to tailoring schools, we seek to undertake business ventures that are inspired and driven by the entrepreneurs who run them. Through investing in these relationships we not only sow the finances needed to realize opportunities, but also trust and dignity in allowing people to pursue their dreams and provide for their families. 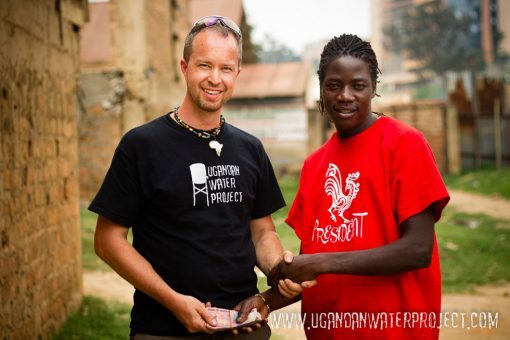 While the main thrust of our organization is water development, we love being able to capitalize and invest in the relationships that are built through our efforts with water. Your generosity in partnering with us through the Small Business Development Fund will continue to open the doors of opportunity for more and more individuals in the years to come.